Of course, if you're old enough to remember, you'll be very familiar with young Luke Perry as Dylan McKay on Beverly Hills 90210 but if you don't, it's fine... because all you need to look at is KJ Apa in this episode and you'll get the gist. Not only did KJ dye his hair for the episode, he nailed Luke's mannerisms to perfection. 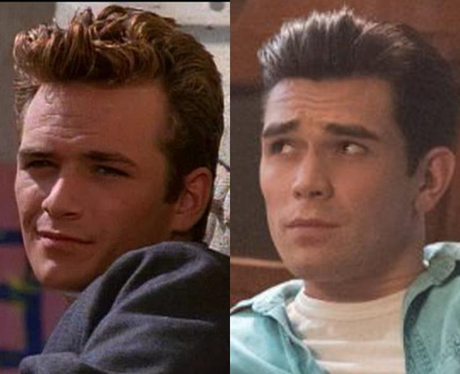 In fact, it's such a good impersonation, if I was Luke Perry I would sue for identity theft.